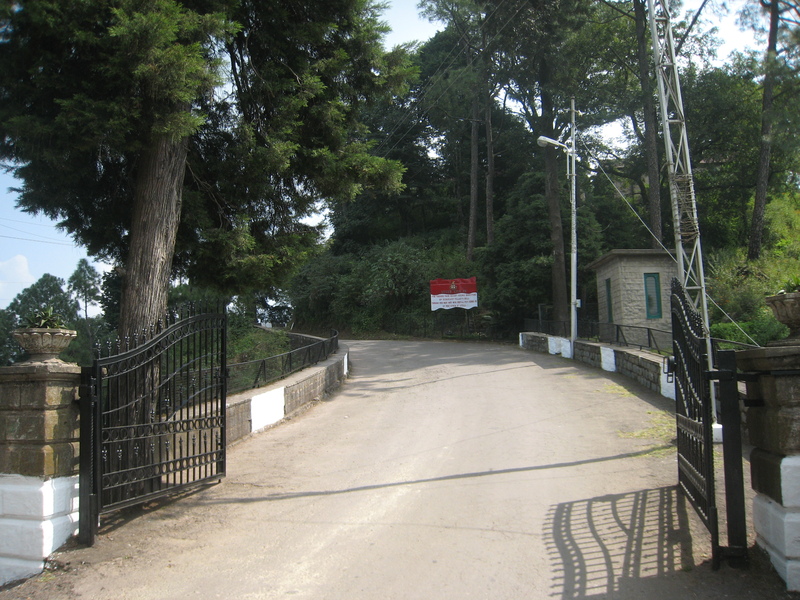 The British established a cantonment in Kasauli (6322ft) in 1842. 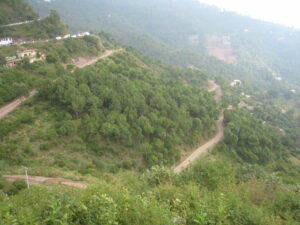 Located in the Solan district, it is 77kms away from Shimla and 70kms from Chandigarh. We set off at 9 in the morning from Shimla. We drove past Shogi (13 kms from the capital), a Shimla suburb on the Ambala-Shimla NH. 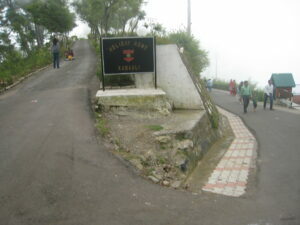 The road to the Taradevi temple goes from here which is about 5kms. 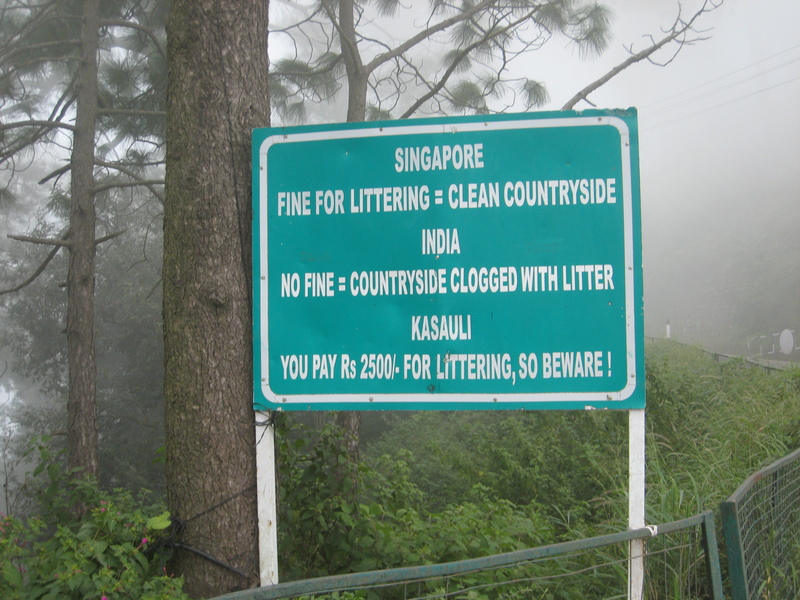 Nestled in the quaint, lush green hills, Shogi is known for bus halts for food and dhabas. Our driver said if it snows very heavily in Shimla, this suburb also gets snowed under. We passed by Bahra and JP universities. We bought fresh apples from a wayside shop at a hamlet called Shogra. 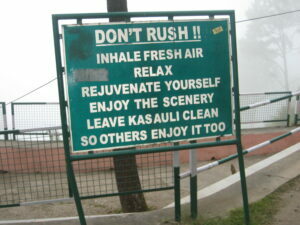 We reached Kandaghat (30km from Shimla), a small town on the Kalka-Shimla NH, at 10am. 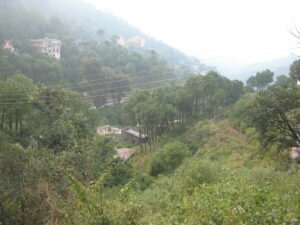 We then drove past Solan and Barog valley. 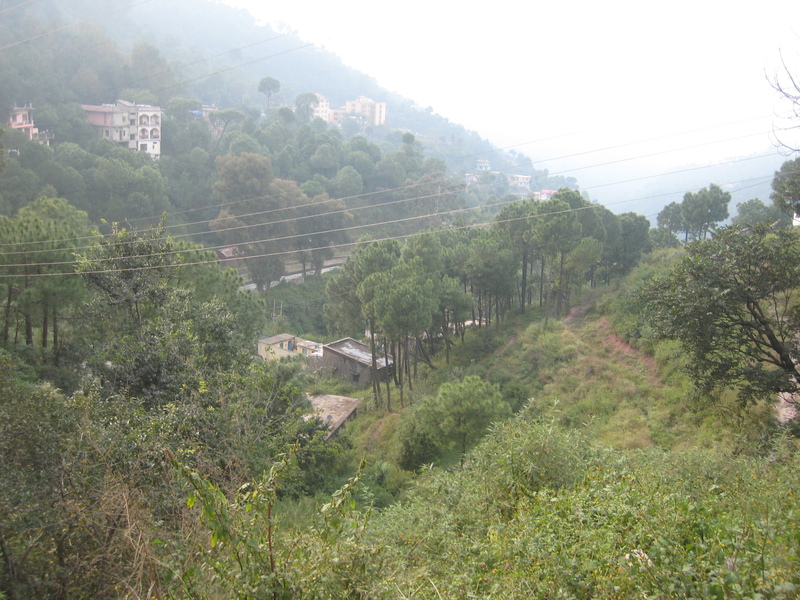 At 11.20am we reached Dharampur (6kms from Kasauli). The famous Lawrence School Sanawar (many Bollywood stars’ kids studied here) is located here. 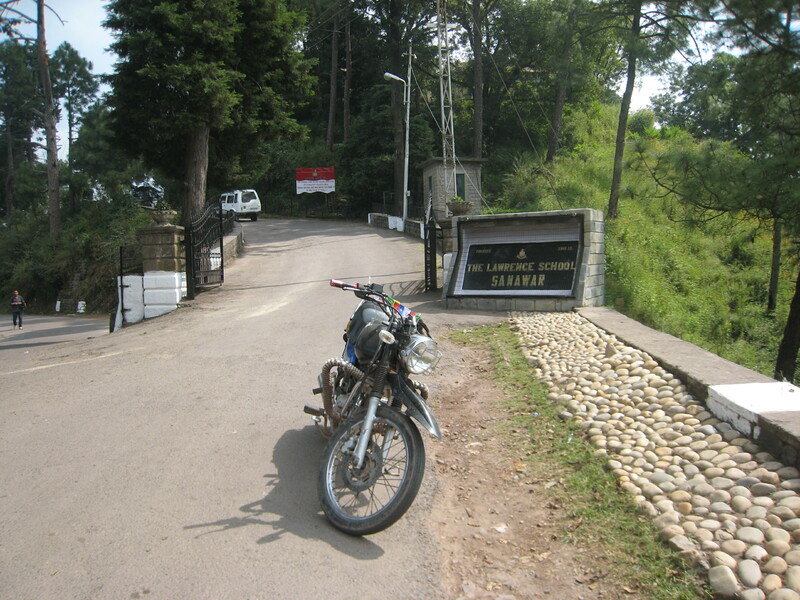 We reached Garkhal (3kms from Kasauli) at 12.25pm. We had our lunch at Thakur Dhaba, a wayside small dhaba. A middle-aged Himachali woman prepared aloo ka paratha and motor rajma… simply awesome! 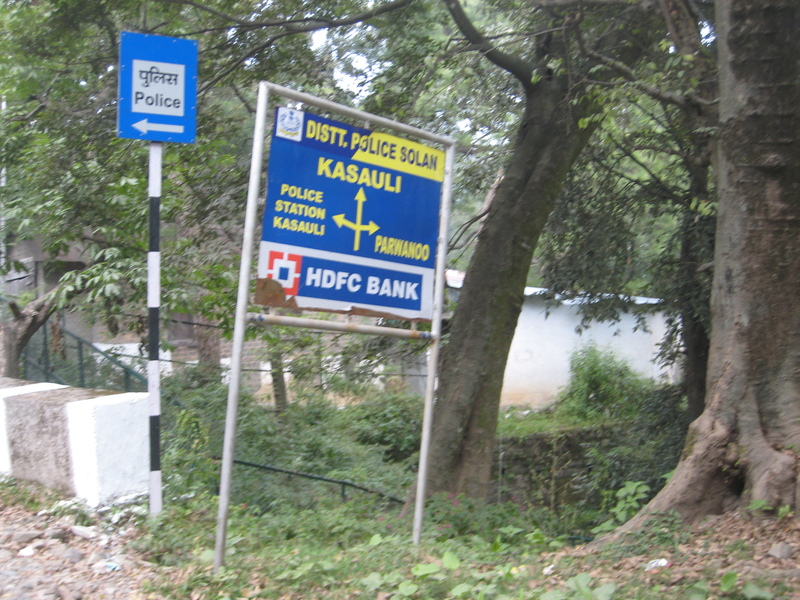 We reached Kasauli (6058ft) at 12.45pm. As our car drove into the cantonment town, we saw the placid October sun kissing Kasauli. 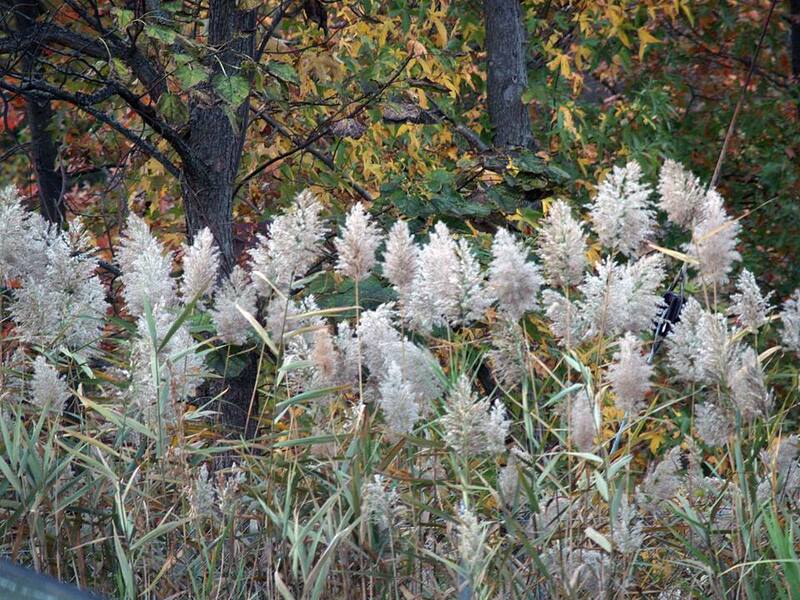 I was mesmerized by the beautiful landscape, cool winds, sweet chirping of birds and gentle rustle of leaves. Lush green hills and clean countryside evoke a quiet grandeur which can be appreciated only by the weary souls seeking serenity and tranquility. We first visited Scandal Point. The story goes that the then Maharaja of Patiala had eloped with the daughter of the British Viceroy in 1892. The place of intersection of the Ridge and the Mall, where he eloped with her, came to be known as Scandal Point. This had led to the Maharaja being banished from entering Shimla by the British authorities. 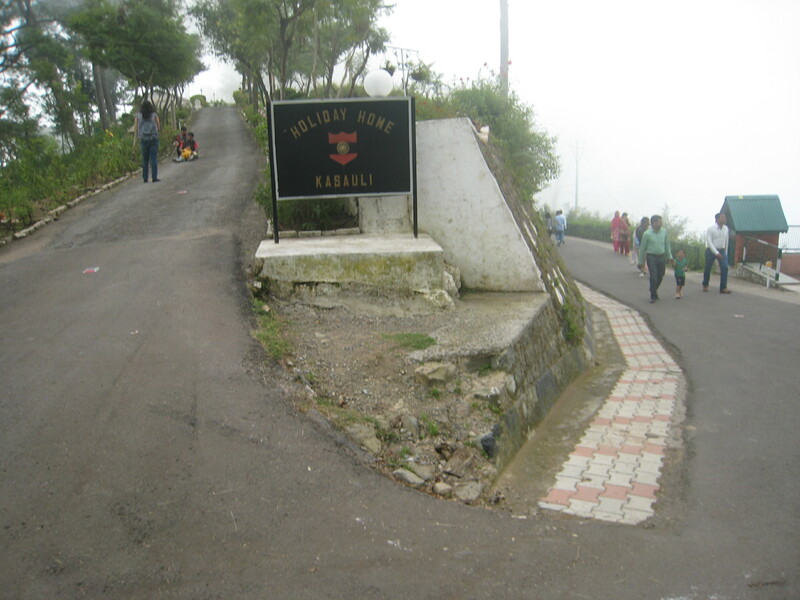 He countered the move by setting himself a new summer capital, now famous hill resort of Chail, 45 kms from Shimla. We then visited Manki Point (6322ft), about 4kms from Kasauli. It is the highest point in Kasauli where Lord Hanuman is believed to have set his feet while on his way to look for the Sanjeevani. Mobile phones and cameras had to be deposited at the gate of the Air Force premises. The Indian Air Force has a dispensary here. One can get medicines if needed. The kind Air Force staff are always there to extend any medical help. The temple is situated among the clouds with cool air driving away all your tiredness. The aura of the place seems to echo the fact that Lord Hanumana is Pavan Putra. The temple has an idol of Lord Hanumana depicting the Lord carrying Sanjivini Mountain on His left hand and gadha in the right hand. In the temple there is a Shivlinga also. We saw The Central Research Institute, originally Pasteur Institute, which was set up in 1904. Celebrated writer Khushwant Singh used to stay here. Every year Khushwant Singh Literary Festival is held in this town. This year it was held from Oct 10-12. 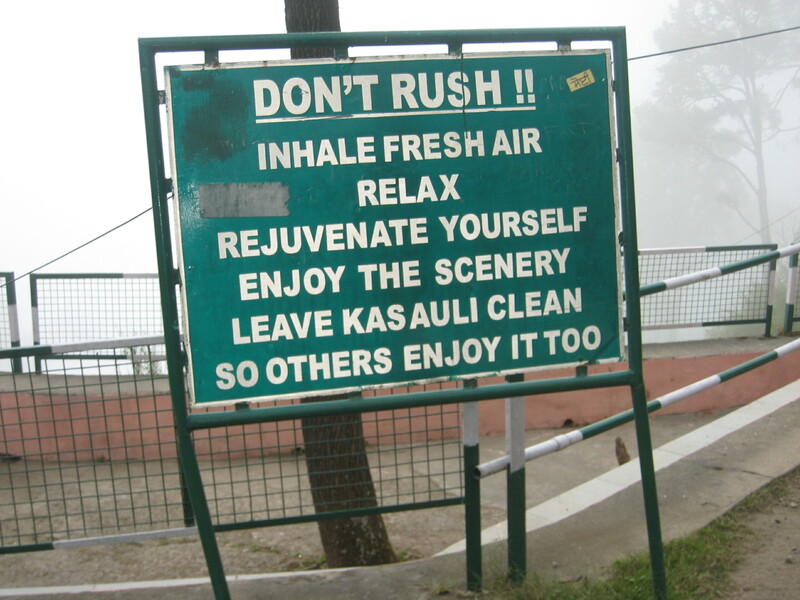 The Festival brings alive diverse subjects that are of interest to the writer and to Kasauli. These include its fragile ecology, rich heritage, colonial history and the ever present military that has helped preserve one of India’s tiny hill stations. We left Kasauli and drove to Barog Valley to see the 111-year-old rail station on the Kalka-Shimla Railway line.